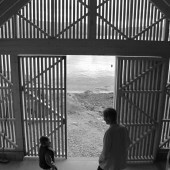 The Boathouse in Haddal was built, in two weeks, in the summer of 2012, by a group of 21 architecture students. It is situated between the fjord, the mountains and the sea in Sunnmøre, on the west coast of Norway. 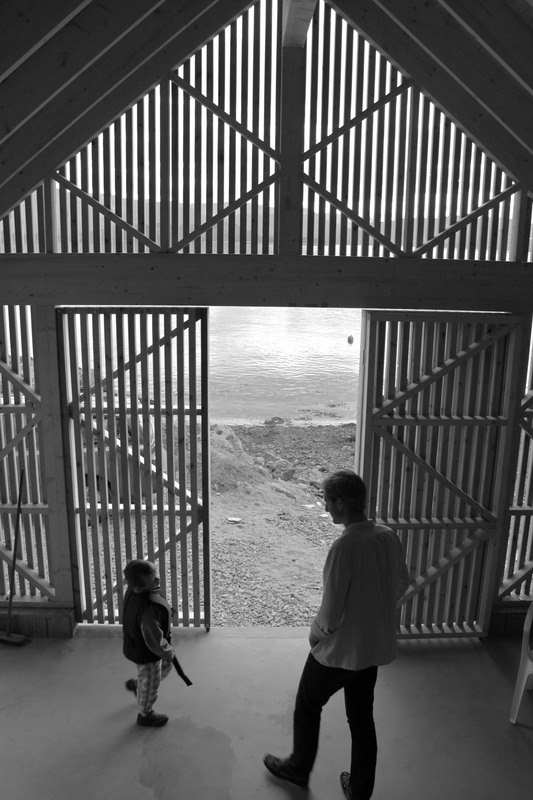 The boathouse is designed by the student group, Rallar Arkitekter, at that time 2nd year students, from the Norwegian University of Science and Technology. 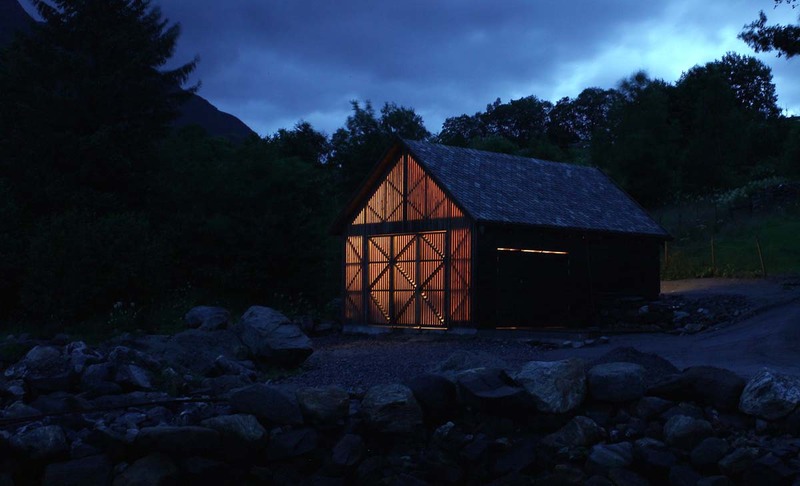 Important features for this boathouse is that it will be used as a simple residence in the summer season, and still serve the practical functions a boathouse should have. For the young architects, it was very clear that this should not be like another of those villas by the sea, with running water, a hot tub and all those modern house standards. Nevertheless, the design of this boathouse is quite unique. The west facade, facing the fjord, has been clad using alternating pinewood boards and plastic glass. From inside, you get the beautiful view of the fjord, and it gives the interior space plenty of daylight. The exterior experience, though, changes during the day and from where you look at it. From the sides, it appears as a traditional boathouse, while viewing straight on, or at night, the plastic strips reveals itselves. The south side of the boathouse has three doors that open towards a terrace and extends the interior floor of the boathouse. 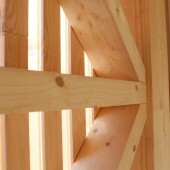 In the back, there is a small plywood cladded loft, which can be used as a private playground for the youths of the family or as a simple accommodation. 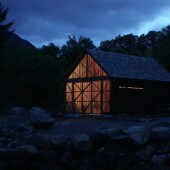 To withstand strong storms and large climatic stresses in the winter, the boathouse is solidly constructed. 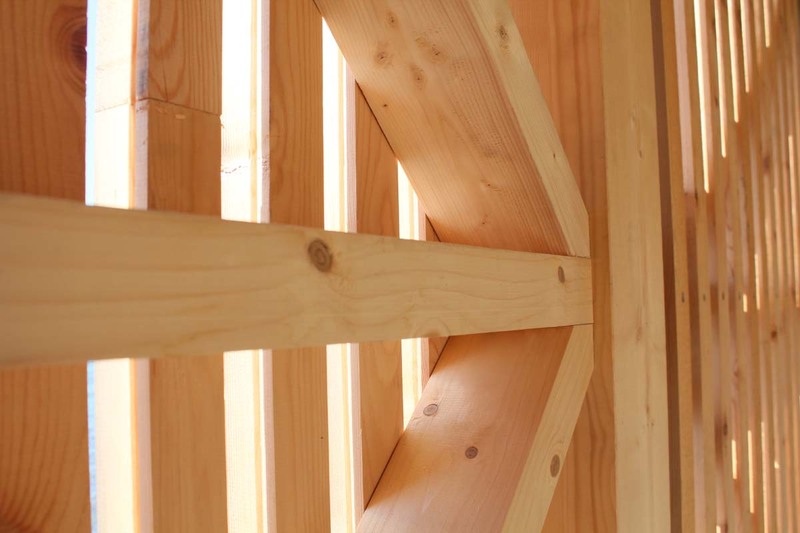 Double columns, good-sized blocks and last but not least, a very solid end wall in the front, ensures that the construction will withstand the severe winter storms. On the walls the custom sawn and locally sourced (naturally impregnated core) pinewood cladding, is finished with ferrous sulphate. This allows the boathouse to be maintenance free. On the roof, there is reused slate with a slightly rustic finish, creating a sense of belonging to the region. After one year, the boathouse has gotten a beautiful silver grey and timeless expression, and the customers can report that they spend almost every free moment in their new summer paradise. How to create a modern, functional boathouse, but at the same time respect the traditional boathouse style.